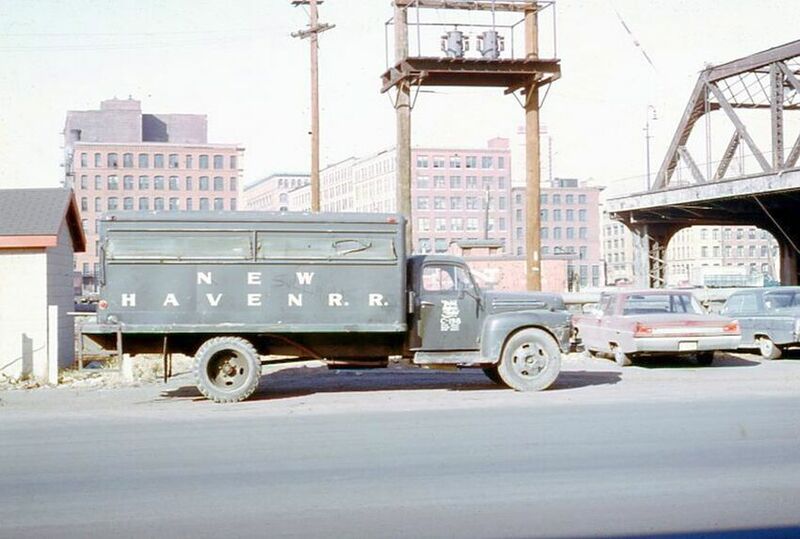 Yes, I know it doesn't run on tracks, but this New Haven support vehicle is nicely painted in the old color scheme and lettering, not to mention the script herald on the door. Somewhere in South Boston. I would guess that is the remains of the Summer Street bridge. The rest of the bridge burned in May 1968. So this picture was taken after they removed the the wreckage. Thanks to you and all the other 'seniors' who post all the great shots. We used to see these trucks on a regular basis on the Cape in the summer. The gandy dancers often rode in the back, like the Army. after Hurricane Donna destroyed parts of the Woods Hole branch.